It’s no surprise that this year’s Coachella Valley Music and Arts Festival features an impressive array of headliners including Radiohead, Lady Gaga and Kendrick Lamar, who will descend on the famed California desert festival April 14-16 and 21-23. But just as impressive as the Coachella lineup is the festival’s commitment to environmental sustainability and getting festival-goers involved in impactful environmental initiatives. Coachella is teaming up with the non-profit Global Inheritance to educate folks about important environmental issues facing our planet and to reduce the environmental impact of the festival. They’ve put together several creative initiatives, including the Energy FACTory exploratory museum, where people can learn how to make their own biodiesel, save money on their electric bills, and take alternatively fueled golf carts out for a spin! 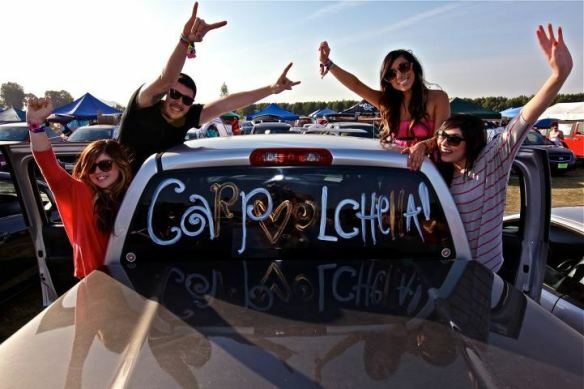 They also created the now famous Carpoolchella initiative, which encourages those headed to the festival to carpool with four or more people. Those who participate not only reduce pollution by carpooling, but are also given the chance to score VIP Coachella passes for life. 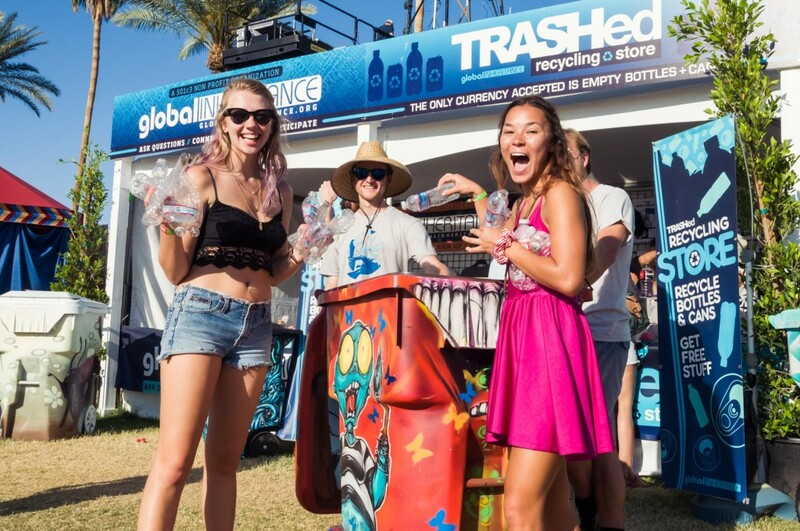 Then there’s the Recycling Store, where you can trade empty bottles and cans for Coachella merchandise, ferris wheel rides, food, 2017 passes and more. All pretty sweet rewards for caring for the environment! Animal lovers can take part in the Saving Nature Claw Machine game to learn how to sustain and rebuild animal/marine life habitats and earn points for merchandise. Meanwhile, the Polar Bear Dating Game gives you the chance to show off your ideas about saving the Arctic. If Ursus the Polar Bear is impressed, you can win a date with him and two backstage passes. Be sure to keep an eye out for these awesome environmental initiatives during the two Coachella weekends of great music, activism, and education! Not only will you leave the festival talking about how you saw Kendrick perform live, but you just may go home emboldened and committed to environmental justice issues and sustainability. For more information about Coachella and this year’s lineup, click here. For more information about Global Inheritance, click here.